Petrogenesis Mithraeum I, Ptuj – Mithraeum. Our Common Sun. 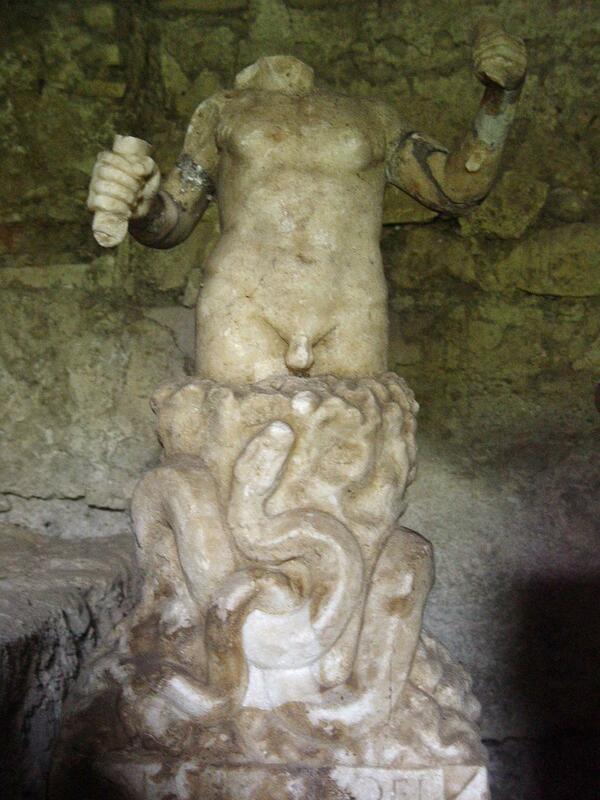 Youthful, naked Mithras being born from the rock around which a serpent is coiling. The head of the god is lacking as well as the greater part of the dagger (r) and of the torch (l) he holds in his upraised hands. On the front of the base in a tabula ansata a inscription.